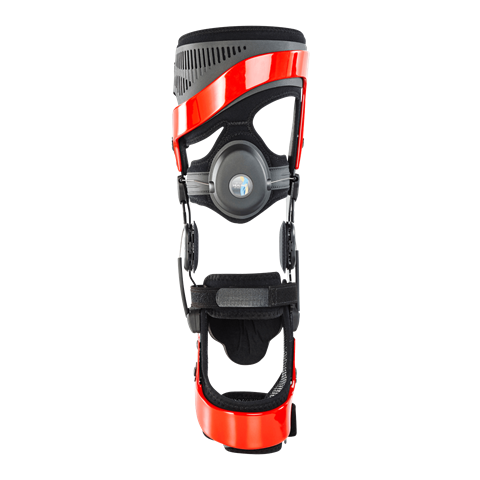 The Rebound ACL brace is the next generation of ACL bracing. It is designed to apply a physiologically correct, dynamic force, optimum for functional rehabilitation of anterior cruciate ligament (ACL) ruptures, whether during non-surgical treatment or following surgical reconstruction. The dynamic load of the Rebound ACL on the femur is generated by applying an anterior directed dynamic force on the thigh area, and opposing counter forces on the anterior aspect of the tibia.